Oxford weather is typical of weather in the United Kingdom and can be quite unpredictable at times. The summer months of May, June, July, August and September are generally the warmest months, with the most days of fine, sunny weather. Even during the winter months of November, December, January and February, Oxford's weather is often fine and mild, with crisp clear days and sunny weather. However, the winter months in Oxford are also the wettest months with Oxford's most changeable weather. If you are planning to visit outdoor locations at this time of year in the Oxford area, an umbrella is always a useful item to carry. 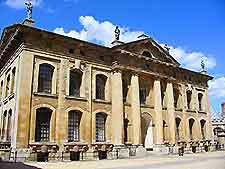 Spring is a particularly popular time to visit Oxford and the weather is fairly mild during March, April and May, although some days may be rainy and windy. Many of the trees begin to flower at this time of the year and Oxford's parks and gardens are filled with spring colour. 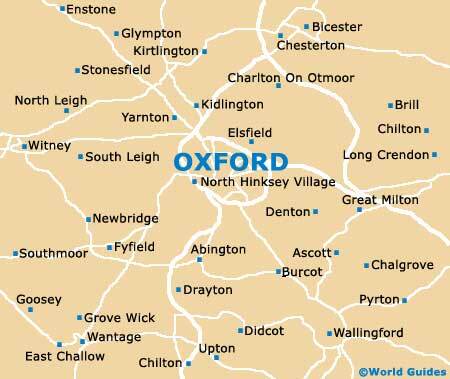 Whatever the weather in Oxford, there is always plenty to see and do in city of Oxford.